Able > Blog > able news > Our Charity Tag Rugby Blitz Kicks Off! 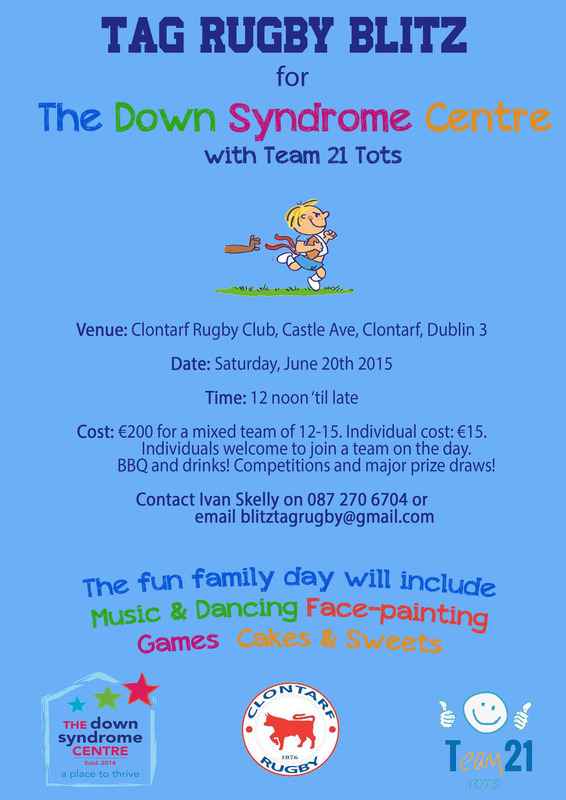 Able Office Systems are very proud to be the main organisers and sponsors of a Tag Rugby Blitz being held in Clontarf Rugby Club on Saturday June 20th 2015, fundraising for The Down Syndrome Centre with Team 21 Tots. Following on from last year’s success, the response has been phenomenal, and the Tag Rugby Teams are now ready to compete for fun! The day consists of fun filled activities to suit young and old. There will be rugby celebrities appearing on the day as well as an auction of much sought after Ireland rugby merchandise from the Six Nations Champions! 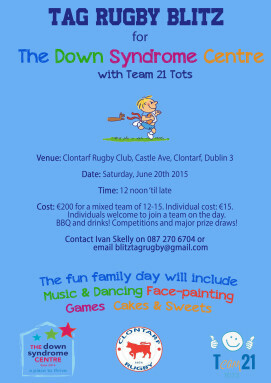 All fundraising will go directly to The Down Syndrome Centre with Team 21 Tots due to generous sponsorship of the day by many individuals and organisations. Good luck to Team Able Office Systems!